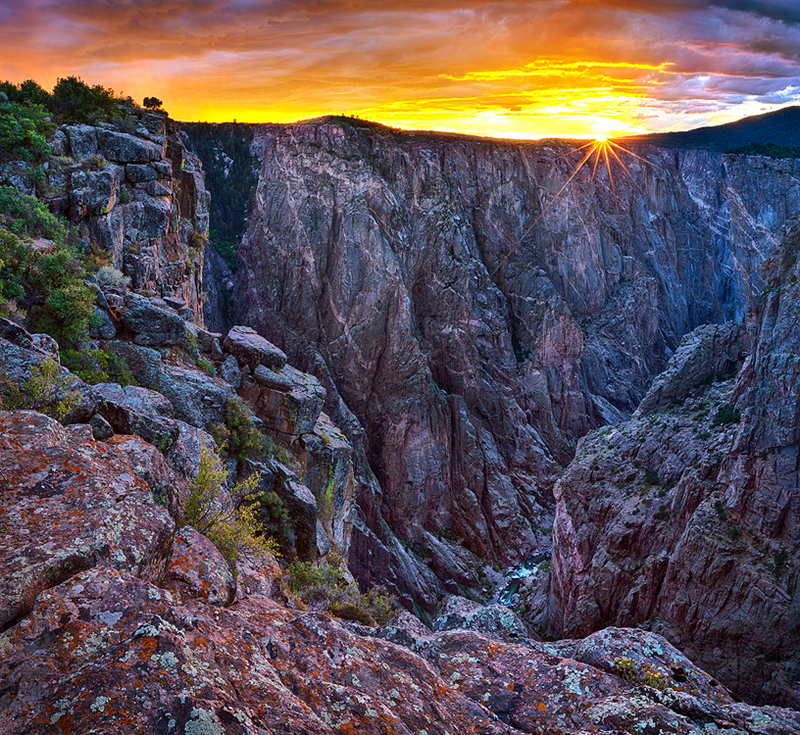 View from the North Rim of the Black Canyon of the Gunnison. The Gunnison River can be seen 1820 feet below. As it dipped below the horizon, the sun set these dramatic storm clouds ablaze.